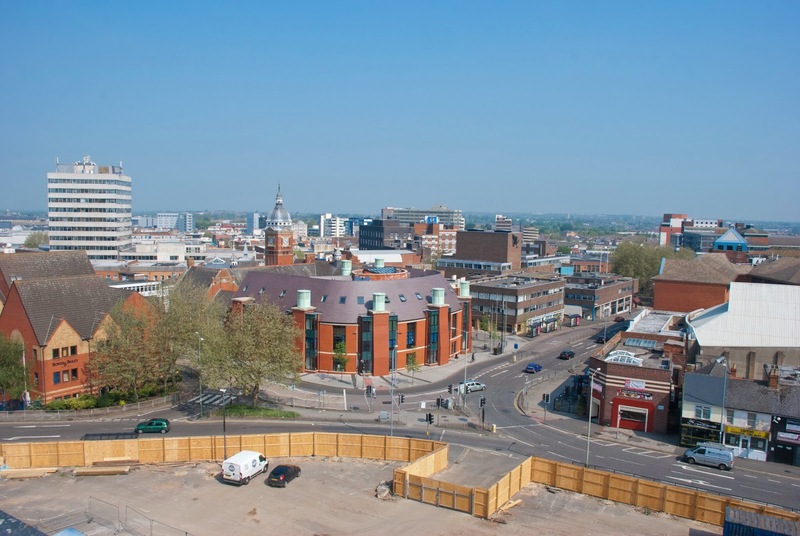 Jon Ratcliffe's Blog: Swindon's Regeneration : Last Year at Regent Circus. 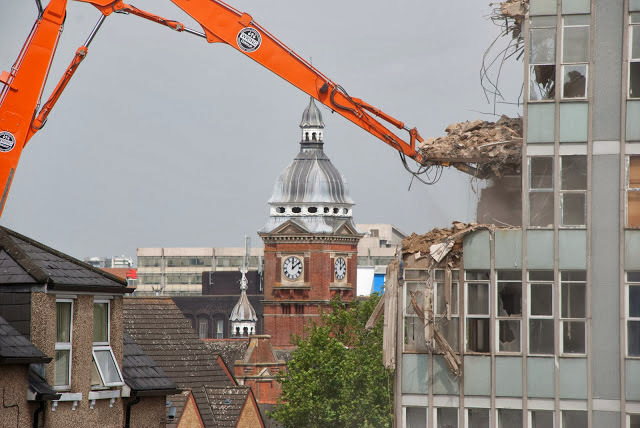 Swindon's Regeneration : Last Year at Regent Circus. 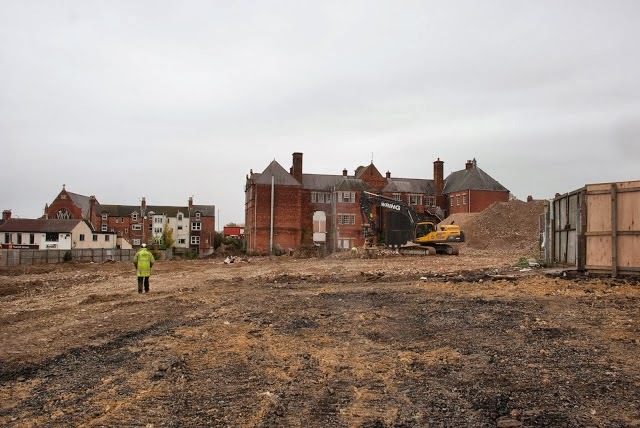 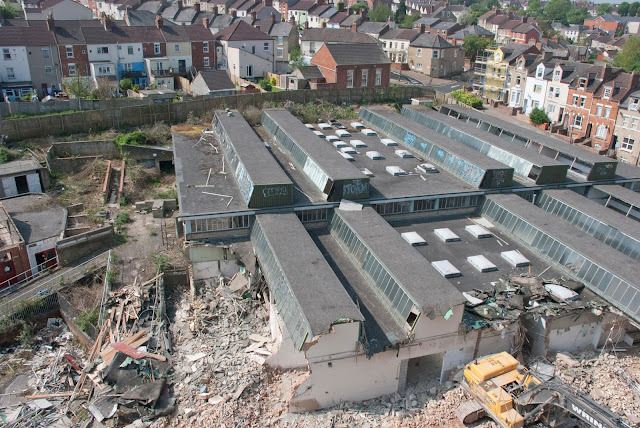 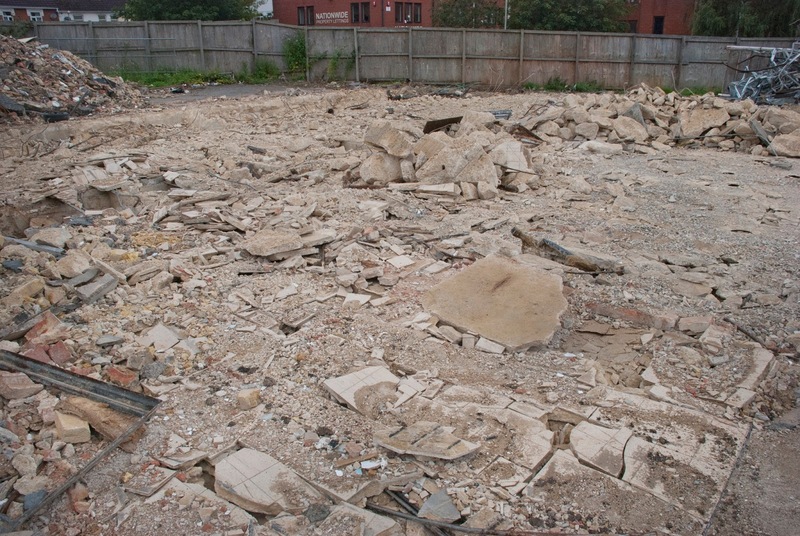 It's a year ago this week that demolition work finished at the old Swindon College site at Regent Circus. 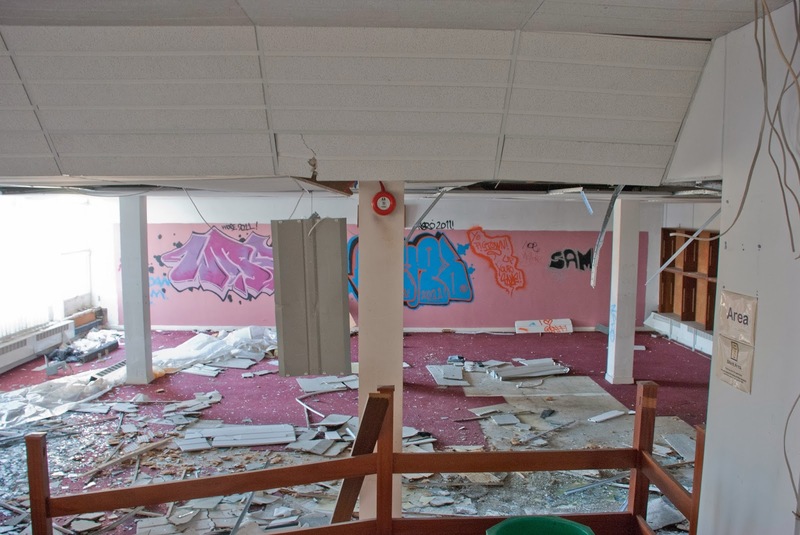 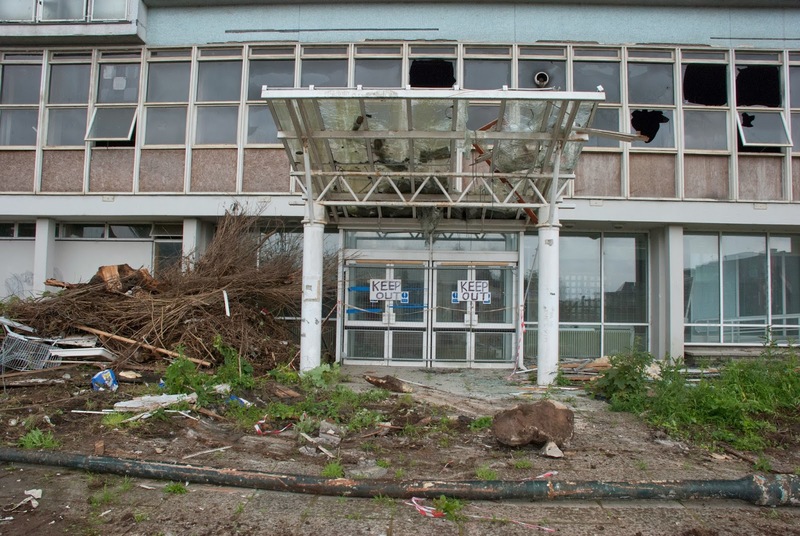 Here's a selection of images, some not seen before, of the demolition from inside and out. 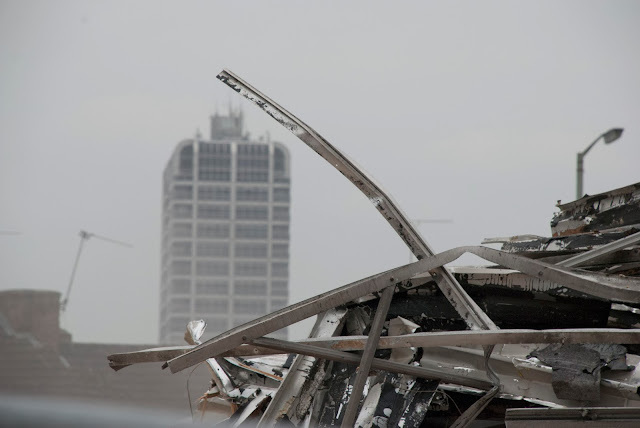 Through the dust of demolition, the David Murray John building hovers in the background. 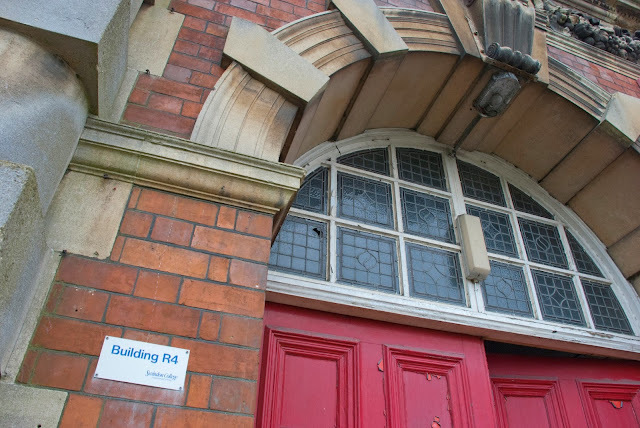 Building R4, or better known as the Victorian Technical College building. The next generation takes a closer look. 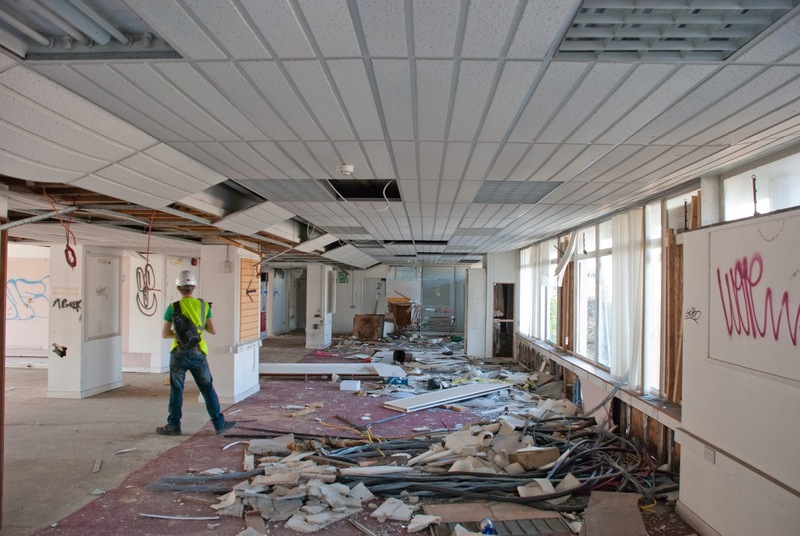 The tiles of the kitchen are the last thing to be demolished. Demolition starts on the workshops at the back of Edmund Street. Classrooms on the 4th level. 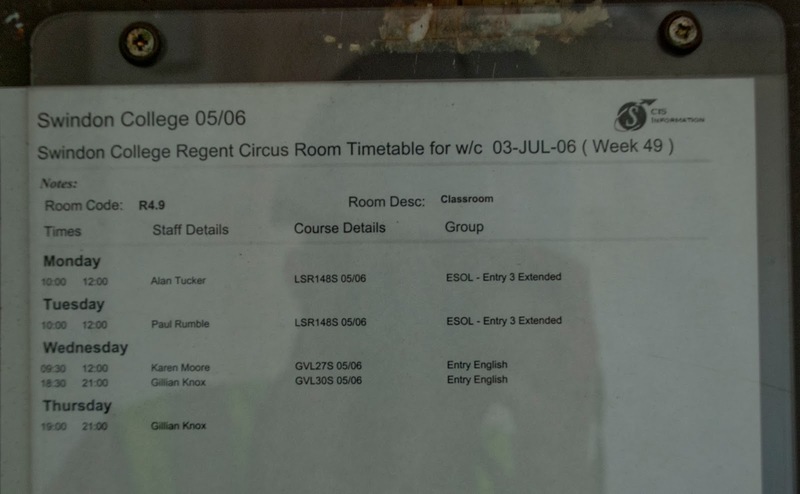 The final week's timetable for room 4.9. 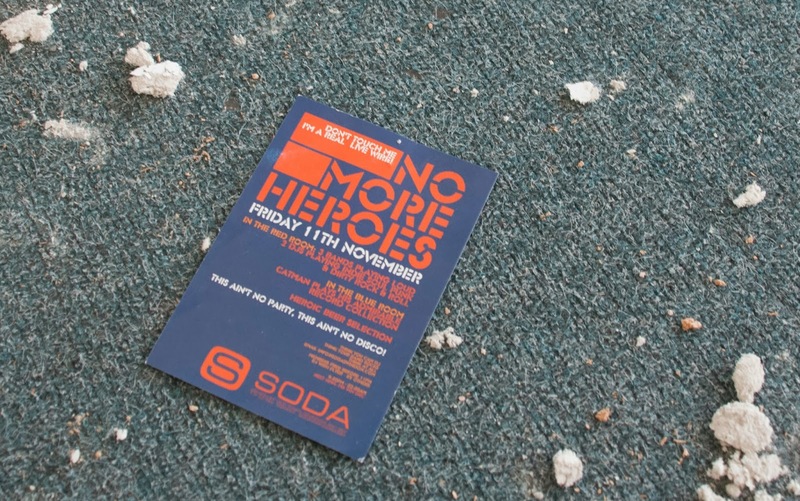 A flyer for Soda nightclub on the 4th Level. Did you go that November night? 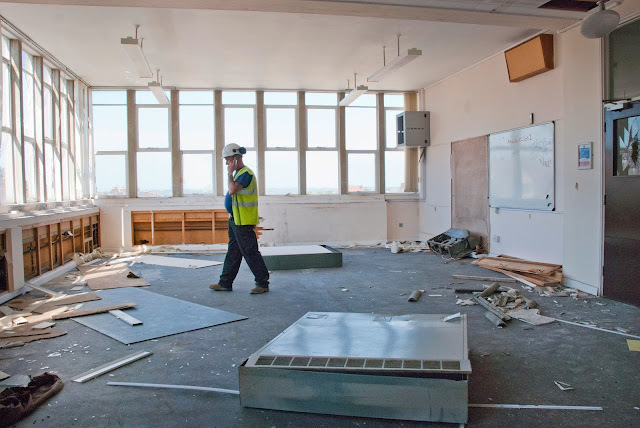 The quiet study area in the ground floor library. 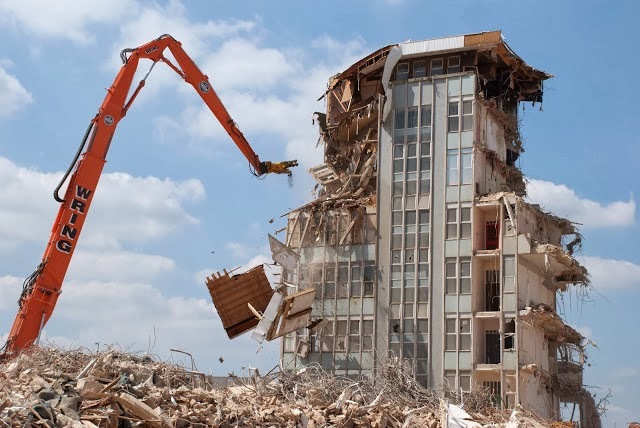 Demolition starts on the main tower. 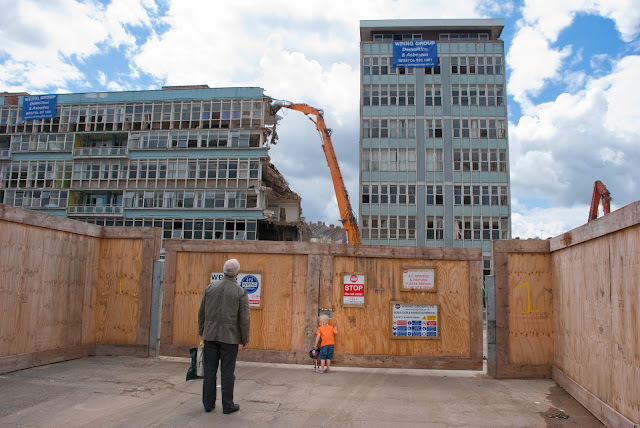 A piece of the main tower's flat room comes down. 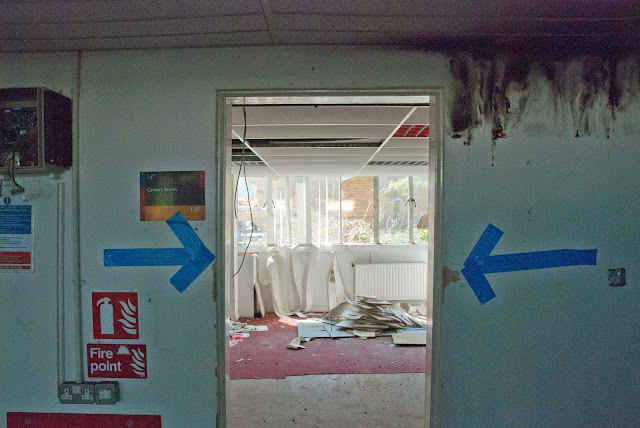 The remains of the careers office amid the rubble of the main block. 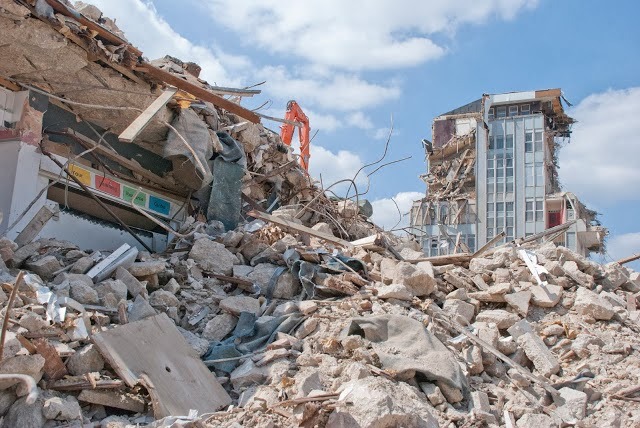 The site manager makes one final walk across Regent Circus in the last week of work.